We develop products collaboratively with companies to bring you an ergonomically sound product. Viewing Japan’s reforming of the agriculture industry from an ergonomic point of view. 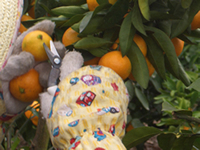 We were invited to observe work conditions at an orange farm on the coast of Setoda Onomichi, Japan. Harvesting work hours are very long and is very damaging to the hands and thus many of the harvestors had tendonitis. Of all the work done during harvesting, the time spent cutting using gardening shears took up roughly 15 to 37 percent of the labor. We observed many workers with tendonitis of the fingers due to the long work hours and imapact absorbed by the fingers when cutting. The initial conceptof the Dr.Cut was conceptualized from this visit. 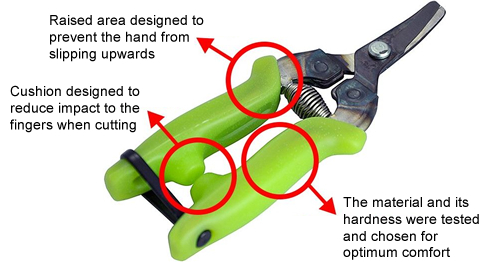 Using ergonomics principles we created gardening shears that reduces burden to the fingers by 75%. repetitive work and impact caused when the metal shear closes to cut. 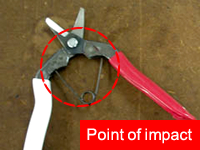 Top prevent this we developed shears to reduce impact to the fingers in collaboration with Hiroshima Prefectural Technology Research Institute and Agricultural technology Center. Gripping area is covered in silicon rubber with impact absorbing cushion in the inner side. Absorbs the impact and reduces burden by 75% compared to common shears. Reduces the stiffness of the user’s shoulder, arms and fingers. Most shears found in stores are focused on the blade and not concerned with the impact to the fingers. Chief researcher of the Hiroshima Prefectural Technology Research Institute and Agricultural technology Center states that “the blade quality of the Dr.Cut may be the same as common shears but the focus on the ease of use and needs of the user make it very new.”. 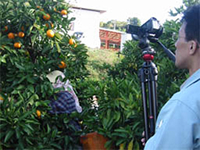 The length of the blade is 1.5cm and can be used for harvesting of not only oranges but grapes, pears, tomatoes, and cucumbers as well as other fruits and vegetables. We measured and compared pain scores of users using the Dr.Cut and typical shears. Result of the test showed a 75% reduction in pain when using the Dr.Cut. Even though a single imapact may be small when accumulated damage is done. Sharpness of the blade is important but one doesn’t consider the burden to the body as well work efficiency suffers. Not only does the silicon grip absorbs impact but reduces fatique. when a human hand grabs a hard object the muscles tenses up and cause the user to strengthen their grip and disrupt blood circulation. By making the grip elastic it prevents the user from using excessive force, thus not disrupting the blood circulation. Not only does it increase productivity but also protects your hand! By coating the gripping area with silicon rubber with impact absorbing cushion in the inner side the Dr.Cut absorbs the impact and reduces burden by 75% compared to common shears. Most shears found in stores are focused on the blade and not concerned with the impact to the fingers. The Dr.Cut was developed to help to protect the fingers of the farmers that uses shears to harvest all day. We have heard delightful and many positive voices from farmers that have purchased the Dr.Cut. The average thickness of of the silicon is 3mm, this was determined to be optimum when transmitting strength exerted by the user, elasticity was also factored. 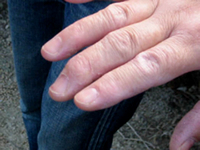 The grip area that most absorbs strength when gripping, the middle/ringer fingers and the thumb joint area are the thickest. A slope is added to the upper part of the grip to prevent slippage as the user’s hand slides when repeatedly cutting. Easy to use for the elderly and women, a grip that was easy on the hands unlike traditional shears and color choices to help you relax. Currently we are working on a new Dr.Cut for pruning. There are many elderly and female workers in agriculture and our hope is for them to continue working healthily by using products like Dr.Cut to reduce burden to the body. The handle is covered with elastic silicon and the inner side of the grip has a shock absorbing cushion thus reducing burden to the fingers by 75% when compared to traditional shears. The traditional shear makers are mainly concerned with the sharpness of the blade and not with the burden to the user’s hand. 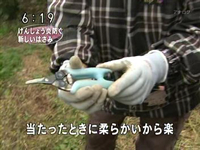 The Dr.Cut was developed to reduce the burden to the fingers of farmers the uses gardening shears daily for long hours. We have heard back a lot of positive comments from members of the farming community. 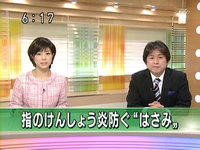 Copyright © Udoergo co., Ltd. All Rights Reserved.